I am on the ball with these outfit posts lately, and in saying so, here is another one! Hope you all have been well, I've been very busy with my final weeks at school, but Im still trying to create great, new content for the blog in the process! This outfit is definitely a favourite of mine; Im always wearing these jeans and some kind of statement top! I especially love this top since its in my favourite colour, and as we all know, I live in these jeans! Hope you all have been swell since my last post. I'm back at it again with another outfit post for this week! 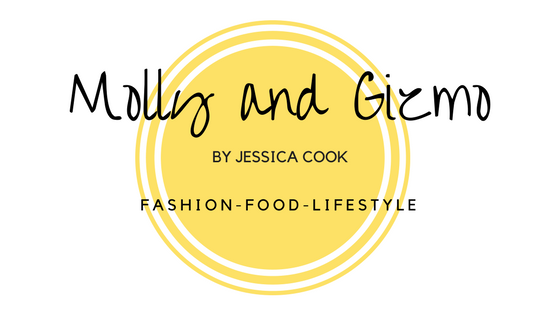 I'm really excited to be bringing so much new fashion content to the blog to share with you all, its my favourite content to create! You probably know from reading any of my blog posts that I love Cotton On's denim, and when they brought out there new 91 LTD capsule collection, I died and went to denim heaven! It is a new evolution in denim where every garment is expertly crafted with premium fabrication, a custom wash and a modern fit. I love so many of the new pieces and would honestly buy them all, but this skirt took the key to my heart and walked out with me in my shopping bag. Its the perfect skirt for any occasion and is incredibly versatile. It's a definetly a piece that I'm going to be getting a lot of wear out of in the warmer months of the year. The a-line fit is so flattering too, and looks perfect with a plain tee tucked in, like I've shown below. As I hinted yesterday on my Instagram, I'm bringing you all brand new denim goodness today! How good's that?! Hope you all have been well since I last wrote, I've just started back at school after 2 weeks of HSC trial exams, so I'm slowly getting back into the swing of things for the remainder of the term until I graduate in late September (so soon, how crazy is that?). These are some of my favourite shots I've taken for the blog and I really hope you enjoy them as I much I enjoyed creating them for you all. I feel like these shots are a lot cooler than anything I've produced on my blog, I'm trying to take my blog and the content I create into a much more cooler, fashion-based site rather than just sharing the things that I like and the places that I've been. During one of my days off school last week, I was very motivated to create all this new content for my blog! This is has been my go-to outfit lately; its the perfect mix between casual and smart casual. When I saw this shirt on an email I received from Cotton On, I knew instantly that I had to get it! It's so comfortable and the mix of denim patches makes its a suitable addition to almost any outfit, especially paired with my dark grey jeggings and white sneakers! Off to do my homework now! Hope you all have been well, its certainly been a while since I've had the time to sit down and write here! 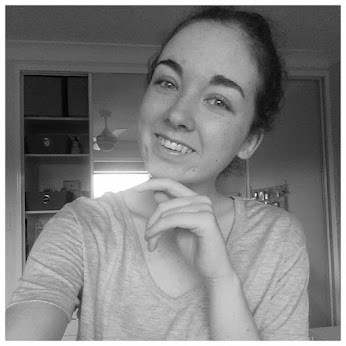 For the past two weeks, I've been completing my HSC trial exams and I am so happy to say that I am done! Trials are over! Yay! Not long now until I finish Year 12! Yay! I had some time on Wednesday to shoot a few outfits for the next couple of blog posts, and I'm really happy with how they have all turned out! I've said it before and I'll say it again, I love denim. I also have accumulated a lot of denim over the past year which I'm totally not sorry about! Denim is a way of life! These pieces are so great as an entire outfit and as seperates. This pinafore is perfect with a slogan tee and sneakers whilst this striped top is great with skinny jeans and boots! 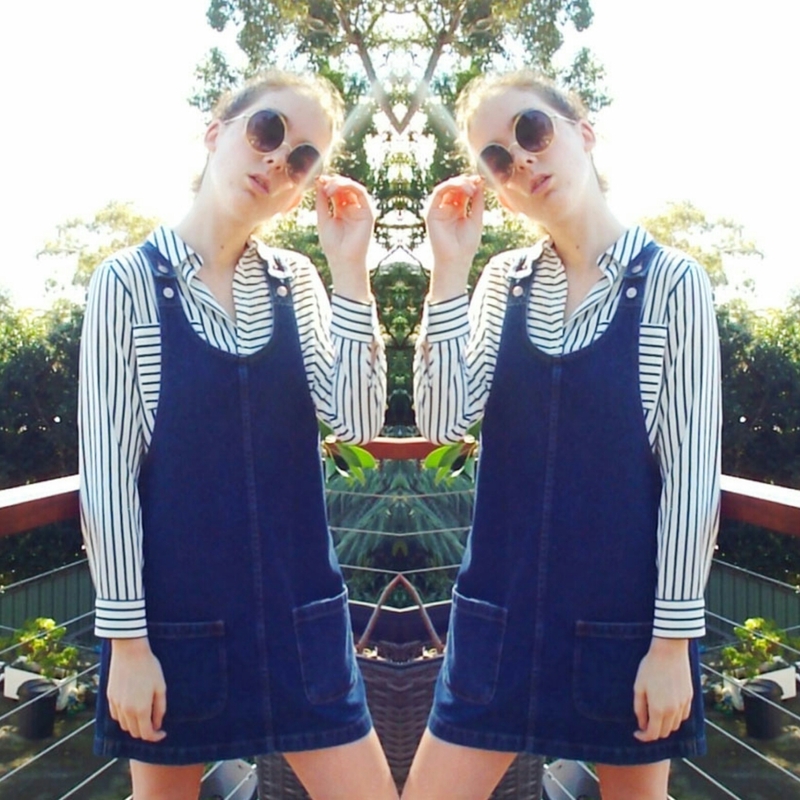 The pinafore is so comfortable and versatile, definitely recommend! I picked up this outfit (minus the sunnies) in June when I won Topshop's Instagram personal shopping experience competition, in which I got to meet Sarah Ellen and receive a $250 voucher to spend! It was so cool!